My “Jesus Rose from the Dead” records must be on loan, so I’m reluctant to write about rabbits. 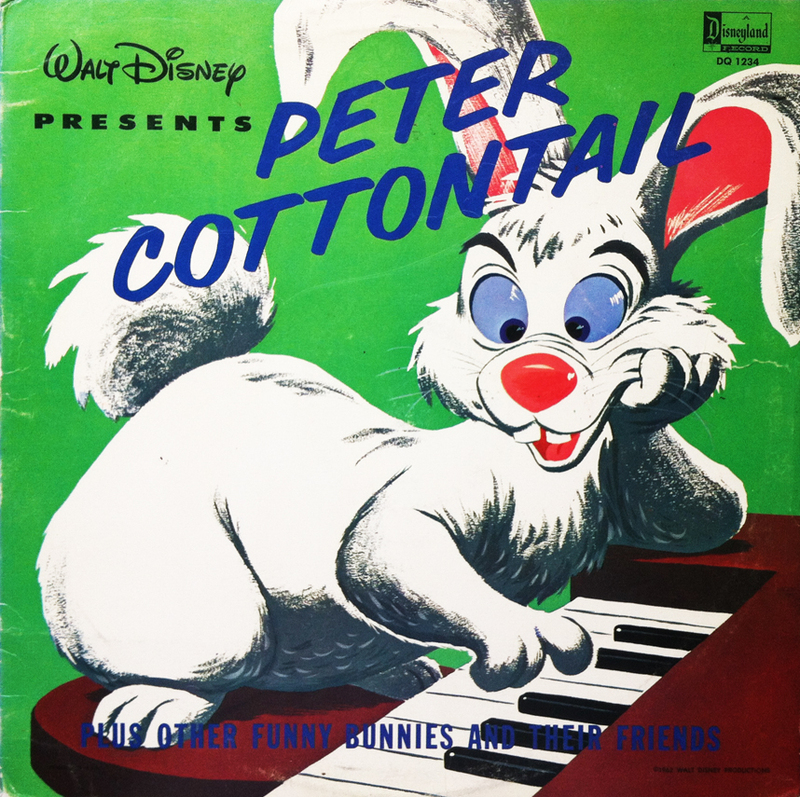 My only Bugs Bunny record is a Christmas album, so I’m forced to inundate myself with Peter Cottontail Plus Other Funny Bunnies and Their Friends. That Pete Cottontail was a sly one, wouldn’t you say? I mean, just look at that face… deep in profound thought. Released in 1963 by the racist, homophobic granddaddy of greed and deceit, Walt Disney Productions, Peter Cottontail Plus Other Funny Bunnies and Their Friends is a heavily produced, fantasy-inducing, rabbit nightmare that’s sure to linger inside your head long after the point of discomfort. 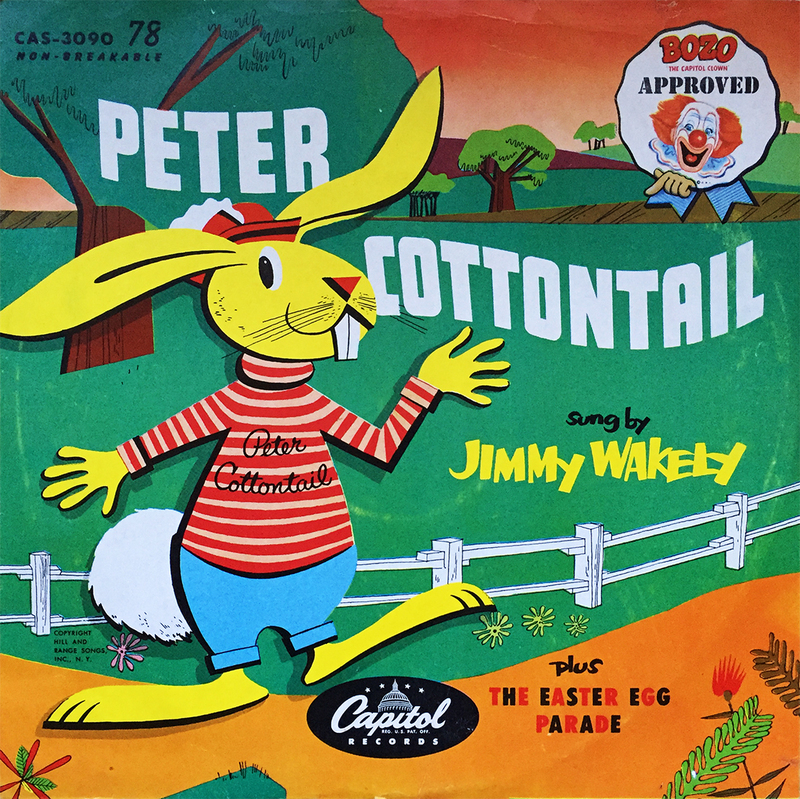 Weaving between catchy kid tunes and one-woman interpretations of classic rabbit stories, Peter Cottontail Plus Other Funny Bunnies and Their Friends does NOT come recommended by The Prudent Groove. 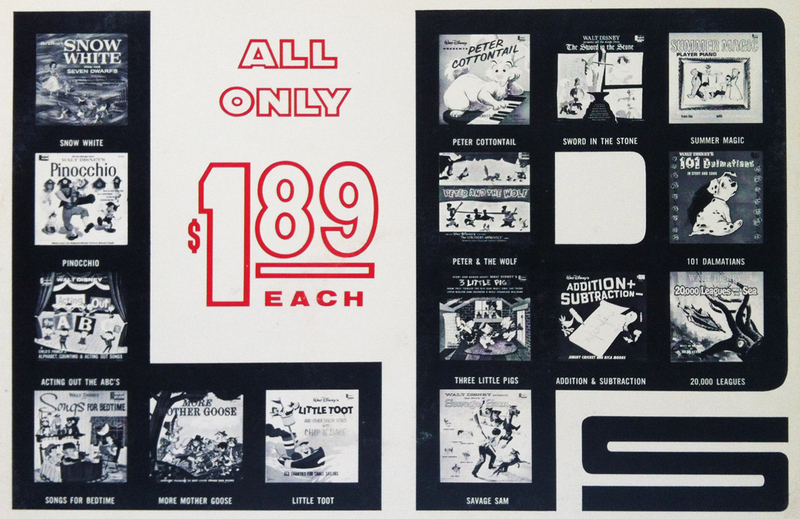 On the plus side, the back sleeve offers an eye-catching display of previously released Disney “Musical Highlights” (I shudder to think) in the shape of the letters, “LPs.” For only $1.89 in 1963, which would be $13.99 today, you could pollute your ears with everything from Little Toot to Savage Sam. Save your money, and your sanity, and skip any and everything Disney related. Your soul will thank you.